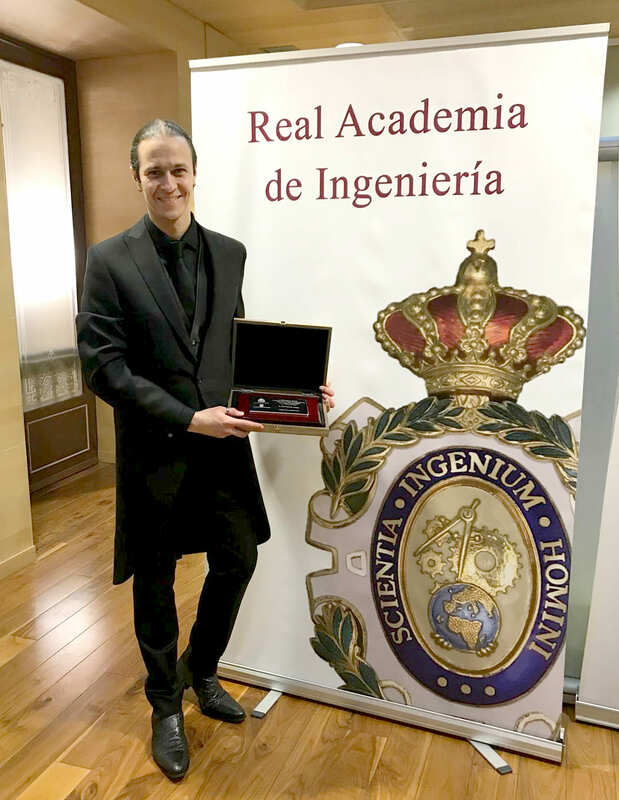 Speech by David Gascón at the Spanish Royal Academy of Engineering as part of the solemn ceremony of the Young Investigator Awards 2018. The CTO of Libelium was awarded with the “Juan López de Peñalver Prize” for the contribution and impact that the scientific and technical developments with his team have for society. 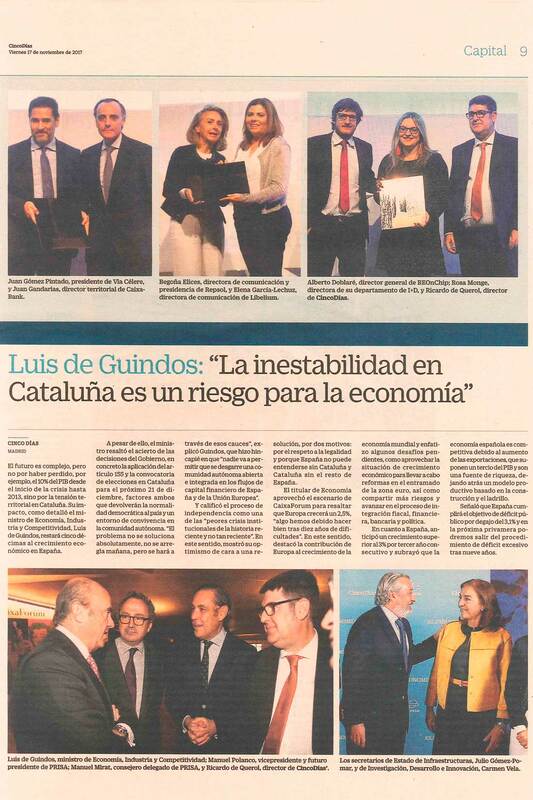 David Gascón, CTO and co-founder of Libelium, has been awarded with the “Juan López de Peñalver” Prize to the scientific and technical contributions and their impact in the society. Read more. MySignals, the IoT platform for eHealth and medical solutions developed by Libelium, was awarded at the Digital Health Awards Fall 2017. The application received bronze recognition in “Connected Digital Health – Telehealth / Remote Patient Monitoring” category. The goal of the Digital Health Awards is to recognize high-quality digital health resources for consumers and health professionals. The awards program is organized twice a year by the Health Information Resource Center (HIRC), a clearinghouse for professionals who work in consumer health fields. The Digital Health Awards is an extension of the HIRC’s National Health Information Awards, the largest program of its kind in the United States. Read more. 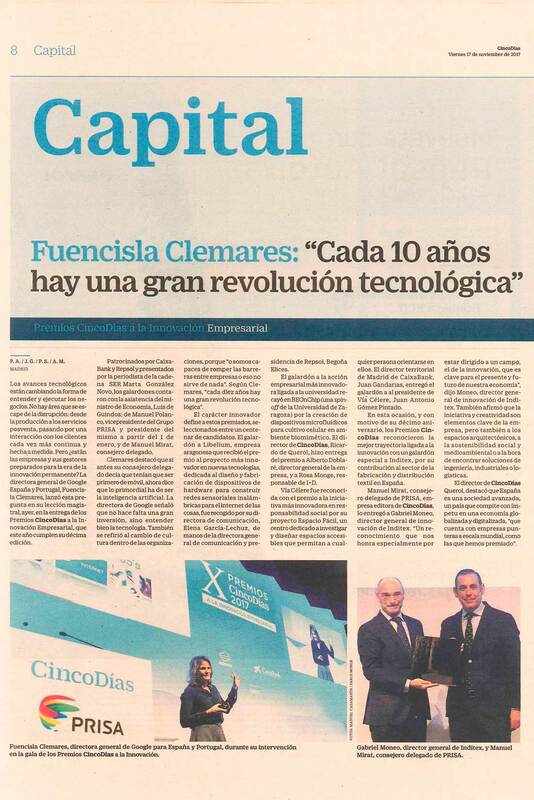 Alicia Asín, Libelium CEO and co-founder, received Jaime I Entrepreneurship Award on the 30th October in Valencia (Spain). The “Rey Jaime I Awards” are one of the most prestigious prizes in Spain, granted by the Government of Valencia and whose members of the jury include several Nobel winners. These awards aim to enhance research and development among scientific and business entities. The ceremony was presided by HM The Queen of Spain, who highlighted the contribution of the science in a country’s development and claimed higher investment in Research and Development policies. The prize will be re-invested in Libelium’s research and development program, considered by Libelium’s management as a “breath of fresh air”. Read more. The organization of Sensors Expo & Conference and Sensors Online magazine, where Libelium has been exhibiting between 27th and 29th of June, has announced the 2017 Best of Sensors Expo winners. MySignals, the revolutionary eHealth platform, has got the highest recognition, Gold Level, of the Application Award. Read more. The Spanish media, MujeresyCia, has announced the list of the Top 100 Women Leaders of 2017. The recognition celebrated this year the sixth anniversary in the award gala that took place in the evening of the 21st of June in Madrid. 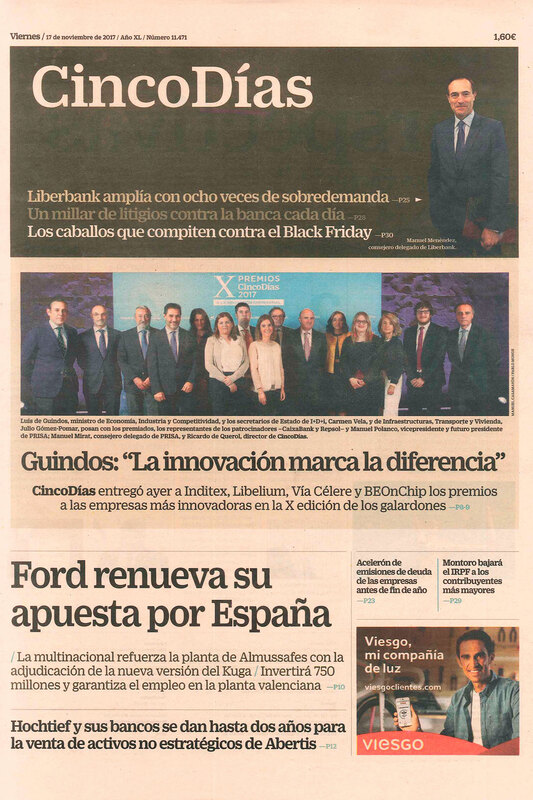 Alicia Asín, Libelium CEO, has been awarded in Revelation and Entrepreneurship category for her distinguished career in business as Libelium CEO. Read more.